Was the last name Gregoire mentioned here or did I dream it? well this is from their global team so I guess they send them out all over. ?? I guess I missed something with the guitar player in Ranier. HIS NAME IS WAYNE? REALLY? I missed that. Is this posted with the photo somewhere? Sorry to not be on the upbeat on this. Okay I am reviewing photos again. 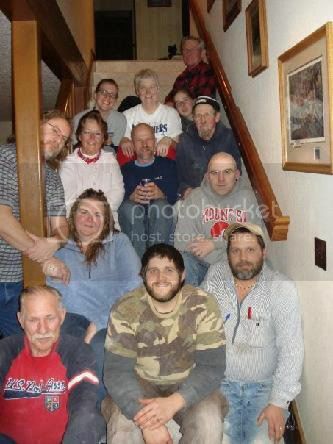 Regarding the photo of WW from the "Lewis Work Team" from the Church of the Nazarene and the photo of WW with that other lady bilogist about the forest fire, the graying pattern on the beard appears to be the same. Just my observation. Can Kara or DD find out if there was a clean-shaven WW at Lindsey's vigil? What did WW look like? Wearing that beaded-type necklace? Wedding ring? Anything anyone would've noticed. MONROE, Wash. - Search teams are combing the area near the Evergreen Fairgrounds, looking for three boys missing since Wednesday night. The boys, eight-year old Elijah Gertschitz, his 10-year-old brother Ethyan Gertschitz and their 11-year-old friend Dylan Lewis, were last seen outside playing in the 18000 block of 137th Street SE in Monroe. The father of brothers thought he heard them at about 9:45 p.m. when he began calling them. He said he whistled and yelled for them but they did not respond. He called police about 45 minutes later. Officers from the Monroe Police Department and deputies from the Snohomish County Sheriff's Office have been searching a wooded area near the home. Officials say Elijah is wearing an orange t-shirt and faded jeans, Ethyan is in a grey t-shirt and blue jeans. Dylan Lewis is wearing a dark grey t-shirt with the letters 'DC' on it and dark blue jeans. No Amber Alert yet. How far is Monroe from McCleary? Thanks, I started a thread for them in the Missing Forum. KaraK ~ I'm glad you've been contacted by the Dubois. I saw eerie similarities between Lindsey's & Amber's cases early on. They post here on the forum as well, although not as much the last few months. Praying for a safe return of Lindsey & Amber! I read earlier that Lindsey wanted to be an author and had attended a writing camp. By coincendnce WW is also a writer here. Here is a copy of a published letter in 2006. As Jesus once said, “I am coming quickly, like a thief in the night when no one is ready”. Thanks again, will I see you on the other side of life? Further down in this page is complete article written by WW and website. I would like to comment in the “Rants and Raves” column in regard to the aforementioned article published in your Wired magazine edition 14.11. I am a scientist, living on the west coast where the author states is “possibly the social group that is least likely among all Americans to be religious”, and I am a Christian. I am constantly amazed that “well educated” people in the sciences can overlook the simple facts of the discipline in which they themselves participate. The very foundation of the sciences are that, simply stated; 1) matter cannot be created, and 2) everything goes from order to disorder. To look at these concepts scientifically we need to know what “science” is. Science is looking at the evidence we have around us using each of our senses (sight, sound, taste, touch, smell) to investigate the world around us. Using the simple basics of their own discipline, scientists should be able to discern that there is matter present and if there is matter present, and matter cannot be created by nature or man, then the matter we can clearly observe, came from outside of the influence of man and nature. Furthermore, we can also use science to prove that evolution is in fact impossible. Science says everything goes from order to disorder, evolution says everything goes from disorder to order. Look at the world around us and show me evidence of anything that goes from disorder to order. Your body, home, car, clothes…they all start out orderly and with time become disorderly. I find it very interesting that this article actually fulfills a biblical prophecy written 2000 years ago. These “scientists” discussed in the article were predicted by the apostle Paul in II Timothy 3:3-4 where it states “for the time will come when men will not put up with sound doctrine. Instead, to suit their own desires, they will gather around them a great number of teachers to say what their itching ears want to hear. They will turn away from the Truth and turn aside to myths”. These “educated” men want to teach what others want to hear… so they can do as they please without having any moral recourse. These men become successful because they are saying what others “itching ears” want to hear. Thank you for publishing this article, it has been a great tool for me as I show my children and others the “stories” written thousands of years ago in the Bible being fulfilled in front of our very eyes. Keep up the good work. As Jesus once said, “I am coming quickly, like a thief in the night when no one is ready”. I am not sure if this information was posted earlier. If it was I sorry for taking up space. I just thought that the "writing" angle would be a common interest for WW and Lindsey to share. Very interesting Sherip & Welcome to SM! I actually copy and pasted this Wayne letter some time back to my notes on Bible and God. I liked the analogy of it.. Here you are posting it..and I already have it. What a small world. How strange it shows up in a missing person case. I have read that also somewhere, hmmmm wired magazine...Was this on another case? I have what I call a half memory, I can remember 1/2 of things, like I read this, not idea why or when but I did! You all are doing an amazing job. I hope LE is following up on your ideas. Just popping in before going back to the hospital to relieve my husband. They are moving my fil to hospice care today we think. I hope his suffering is over soon. Cancer is a horrible thing, we all need to fight for a cure. My prayers go with you, Tracygirl. I understand what a difficult time this is for your family. Blessings. Considering the location of his residence in relation to the Baum residence and ... considering his connection to both Josh (fishing) and Lindsey (Evergreen Church) ... in the process of elimination ... I believe that Wayne Watne should not be disregarded as a person of interest until questioned and ruled out. However ... when all is said and done ... my heart tells me that Wayne Watne's mission in life is sincere. The purpose is to make a positive difference in the lives of others in the name of his faith. Mr. Watne is being looked at so he can be eliminated.